We’re not sure about you, but for us food has always been an essential part of travel. As well as giving you the chance to taste local flavours and ingredients, a country’s cuisine also gives you a pretty accurate run down of its heritage, belief systems, culture, history, habits… the way to a destination’s heart truly is through the stomach! For those with dietary needs or restrictions, indulging in a destinations’ local fare can be a bit tricky so, for all the vegans out there, we’ve put together this little guide of the best countries in Asia to explore and eat delicious vegan food to your hearts’ content! Currently one of the world’s hottest destinations, the island of Sri Lanka is also one of the best places in the world to eat as a vegan. Sri Lankan cuisine is born from a unique fusion of influences from the Middle East, India, Southeast Asia as well as Dutch and British and from each of the ethnic groups and religions that call it home. The Sri Lankan people also take great pride in the amazing ingredients that they grow, creating delicious dishes from the freshest, seasonal produce, be it vegetables, spices or the sweetest tropical fruits. Being majority Buddhist and Hindu, the consumption of animal products is minimal anyway, and much of Sri Lanka’s numerous curry, bread and rice dishes are vegetarian. 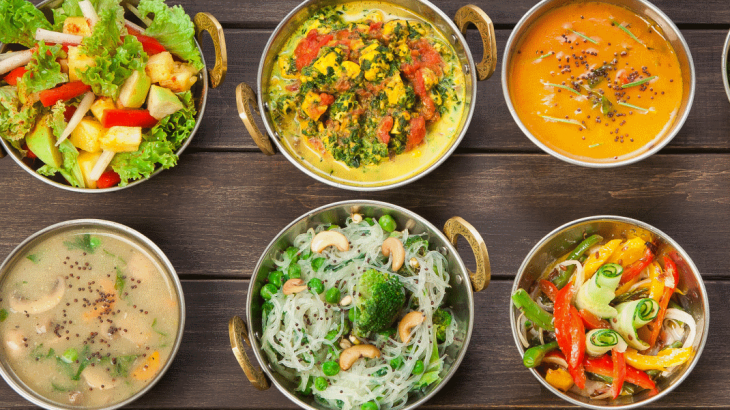 You’ll find that many restaurants label themselves as ‘Vegetarian’ but you’ll also see ‘Pure Vegetarian’ – these tend to be lacto-vegetarian (dishes may contain milk products and honey but no eggs). Whilst the term ‘vegan’ is not widely use, both these restaurants and others offer plenty of vegan options but just ask to make sure the food hasn’t been cooked in ghee, that it doesn’t contain any eggs or honey, and that there are no fish flakes sprinkled on top, especially in coastal areas. English is widely spoken, but it’s always handy to have a few phrases up your sleeve in Sinhala or Tamil, just in case. It’s a great excuse to explore local cafes and restaurants – just look for the ones with the most locals in and you’ll be in for a treat. As we mentioned above, seasonal produce is an essential part of cooking, so you might find yourself tucking into a deliciously spiced jackfruit curry, a pumpkin one, or even beetroot, depending on when you visit. The same goes for the amazing array of tropical fruit – if you arrive in mango season, you can go to town on these sweet, juicy wonders. We also need to mention ‘short eats’, the Sri Lankan street food snacks, perfect for something to grab on the go. Vadai is the perfect option for vegans – sold everywhere, a mash up of pulses with herbs and spices it’s fried…and delicious! Oh, and yes, Sri Lankan food can be hot and spicy, so if that’s not your palate, just mention you don’t want your head blown off! Masoor dhal – red lentil curry with coconut milk and spices. Gotu Kola Mallung – a green salad with mixed leaves, onions, coconut, lime juice and green chillies. Rice with vegetable curries – usually served with sambol (red onions, chillies, lime juice, salt) and chutney. 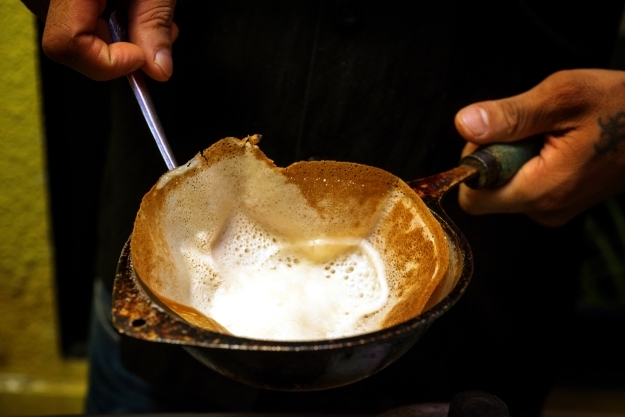 Hoppers – pancakes made of rice flour, coconut milk and a pinch of sugar – can be sweet or savoury. A global city in tropical climes, Singapore is often lauded as a foodie paradise. Today is has an exciting, developing vegan scene with, at last count, about 50 vegan restaurants to sample. Offering international tasty treats ranging burgers and pizzas to raw foods, salads and traditional Chinese dishes, it’s safe to say you can come here to have your vegan cake and eat it. For a more local experience, visit one or two of Singapore’s famous hawker centres, where the locals love to grab a bite to eat. These huge food courts are where you can get fresh, delicious dishes cooked as you watch, for excellent value. There are usually a couple of vegetarian only stalls in each centre which will have vegan options, or you can ask them to make one of their vegetarian dishes into a vegan one for you. Chinatown market is another must, with its rich delicious Chinese flavours made with vegetables or mock meats. Another more culturally immersive eating experience can be found in the vegetarian food hall of the Buddha Tooth Relic Temple, also in Chinatown, where there are also plenty of tasty vegan dishes to try. Like many of the countries in this article, Singapore has a tropical climate meaning that no matter what, there is always plenty of delicious tropical fruits on offer. Trust us when we say that here, where the fruits have fully ripened in their native climate they taste SO MUCH BETTER. One fruit to try is the durian, called ‘the king of fruit’. It smells horrible and has a unique flavour that divides opinion! Mock meat satay – soy meat substitute cooked in a delicious peanut sauce! 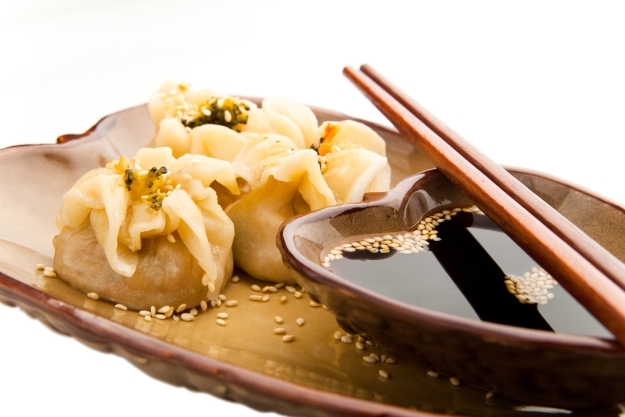 Dim Sum – these dumplings come with all sorts of fillings but vegan options include taro and tofu. 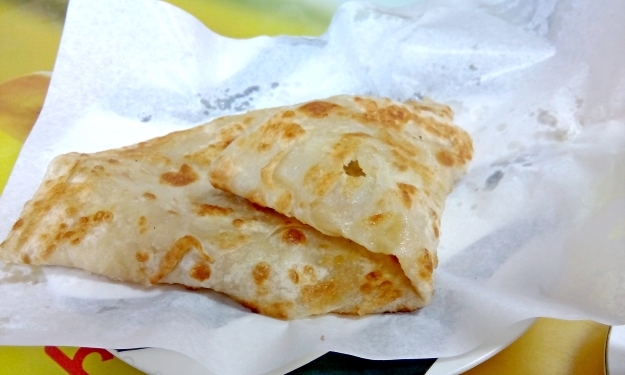 Roti Prata – available at every hawker centre, this grilled white flour flatbread is served with daal or curry or stuffed with delicious veggies. Taiwan’s capital, Taipei won the title of ‘Asia’s Most Vegan Friendly City’ in 2016 which we think it a pretty good sign that the city is going to be a haven for vegans! Similar to Sri Lanka, it’s Taiwan’s Buddhist religion that influences the cuisine – Taipei is home to about 300 vegetarian restaurants, most of which are Buddhist. But then, even non-vegan restaurants offer good vegan options and plant-based restaurants are popping up all the time in many of Taipei’s neighbourhoods; there’s also plenty of vegan street food snacks! And we haven’t even mentioned the all-vegan supermarket yet, found in the bustling Wenshan District, perfect for picking up some on-the-go snacks. Taipei’s vegetarian restaurants range from holes-in-the-wall, to weigh your food buffets, to high end establishments with 10 course tasting menus. The Buddhist vegan restaurants don’t use eggs, but may use diary, so it’s definitely worth having the Chinese for ‘I don’t eat diary’ ready to go when you visit – also useful for non-Buddhist vegetarian restaurants is how to say that you don’t eat eggs too, as they are quite a common ingredient in Taiwanese cuisine. If you’re visiting a restaurant that’s not a well-known vegan one, we’ve found that it’s worth being wary of menu translations and to always double check with the restaurant that things are in fact vegan – again, your Chinese phrases will come in handy! There are a few Taipei vegan groups on Facebook – pop there for the latest recommendations. Also, have a bubble tea – in Taiwan it’s a sweetened ice tea which you can have without milk. It’s shaken up for create a tasty foam and perfect if it’s a hot day in the city! Stinky tofu – served in most night markets, this fermented tofu is most often deep-fried and served with sweet and sour pickled cabbage. Mahjiang mien – wheat noodles served in a sesame, peanut and soy sauce. 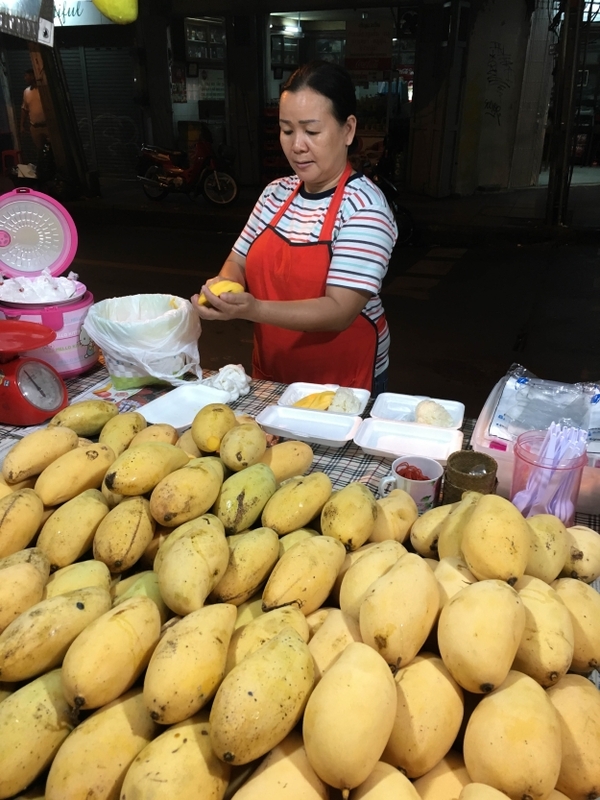 Another country well known for its incredible cuisine, Thailand can be both extremely easy and quite difficult for vegans, depending on where you travel. The traditional Thai cuisine is very vegetable based and uses little diary, but with the influx of travellers over the years, this has changed a bit with meat and milk more prevalent. Having said that, ‘vegan’ is a well-known concept here and is making a comeback with more than just Thailand’s monk population! Across the country, look out for restaurants with yellow banners with a red Chinese character that looks something like a 17; this is ‘jay’ or ‘jeh’, which cleanses the body and karma and is strictly vegan. You can also use the phrase ‘chan gin jay’ (women) or ‘pom gin jay’ (men) to indicate that you are a vegan. The beauty of Thai food, be it from a restaurant or a food stall, is that it is generally cooked fresh, so you can ask to make your food vegan. Say no fish sauce, no oyster sauce and no dried shrimp (things that can often be sneaked in to vegan sounding dishes) and no diary, and you can even watch to make sure nothing animal-based goes in. Bangkok and Chiang Mai, Thailand’s most visited cities, both have plenty of options for vegan eaters, with lots of purely plant-based establishments. In Chiang Mai particularly, the traditional northern Thai cuisine tends not to feature the fish sauce that is used for cooking across much of the rest of the country, so even in a non-vegan restaurant, you’ll have more chance of finding something delicious to eat. 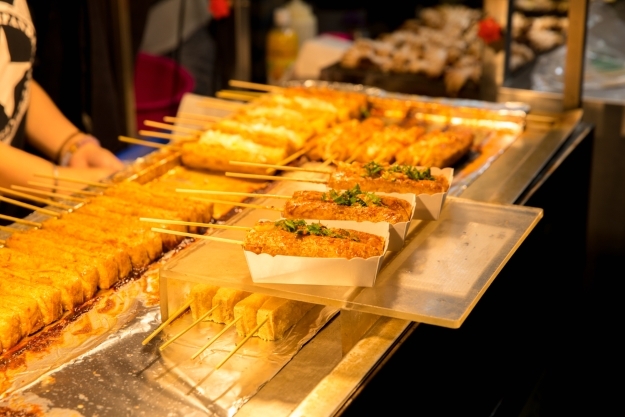 The famous Night Bazaar is also a great place for vegan street food – you’ll find some very tasty things here. Bangkok, as a global city, has many plant-based restaurants and even a vegan food court, but bear in mind that it’s a big city, so do your research and figure out where you want to eat before you start getting hungry! Another great holiday spot for vegans is the island of Koh Pha Ngan, where there is a vegan community where you can go and spend a few days eating tasty food and even doing a bit of yoga on the beach; bliss! Sticky rice and mango – rice cooked in sweet coconut milk and served with slices of sweet mango. Fresh spring rolls with peanut sauce – raw veggies and herbs wrapped in wafer thin rice paper and served with a peanut dip. Deep fried tofu – get it with a chilli garlic dipping sauce…yum! About 30% of India’s population are vegetarians, and the country is known for its amazing range of vegetarian foods, but what about veganism? While beans, lentils, colourful vegetables and spices feature heavily in dishes, the biggest issue that a vegan must overcome in India is the use of dairy, long an essential element of India cuisine. Even a naan bread can contain milk (go for alternatives like roti and puri)! Once that is out the way, you’ve got glorious aromatic, richly-spiced deliciousness. Is that easy? Yes, reasonably – as we’ve mentioned over and over, you simply have to ask. Saying that, there are plenty of dishes that you can consume on your holidays to India that don’t contain any diary and lots of snack foods, samosas being a prime example, are diary free as well! Another thing to keep an eye out for is ghee, used for cooking. In this case all you need to do is asked for your food to be cooked in an alternative oil, like coconut, which is just as ubiquitous. Whilst veganism isn’t such a widely known concept, those who follow the Jain religion are essentially vegan, so there is some understanding of what it means. The city of Chennai is leading the pack in the animal-free lifestyle. Located on the southeast coast, it has become a vegan hotspot – you can tuck into a huge range of vegan-versions of Indian favourites here, with plenty of rice, pulses and coconut milk blended with spices making exotic dishes that are sure to delight. One of the city’s vegetarian/vegan restaurants, The Royal Vega, is one of India’s best rated restaurants! As you’d expect in a country where a large percentage of the population don’t eat meat, you’ll find vegetarian restaurants everywhere but keep a particular eye out for the ‘Pure Vegetarian’ establishments – these ones are lacto-vegetarian and are the best place for vegan options. Onion paratha with daal – a wheat flatbread stuffed with onion and served with a lentil daal. Bhel poori – a combination of puffed rice, vegetables and tamarind sauce. Through the course of researching this article, one website kept popping up with plenty of restaurant recommendations – Happy Cow is an excellent resource! Wendy Wu Tours offers escorted tours and tailormade itineraries to destinations across Asia and South America. If you’d like to create your very own vegan food adventure to any or all of the destinations mentioned here, that’s great! Let our tailormade team know, and they’ll start planning. General adventure, food and drink, vegan. permalink.